I was thinking about letter writing and crafting practices; I really wanted to use my hands, but I don’t think of myself as a maker. 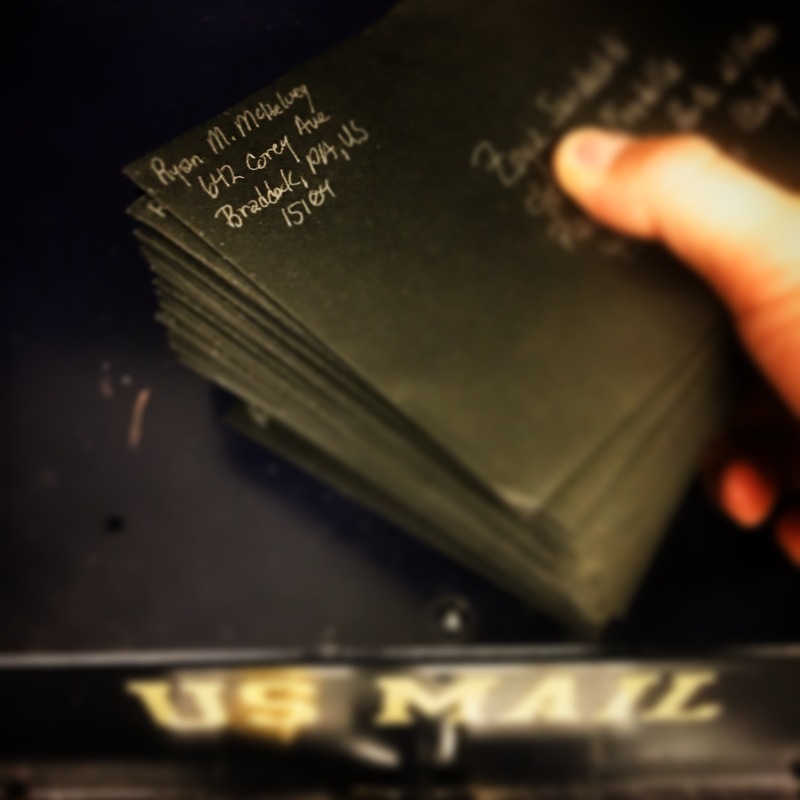 And recently, I’ve witnessed a good deal of letter writing, postcard making, and other written activism in the wake of the 2016 US Elections. And so, I was thinking about these postcards I was writing to members of the Electoral College in Pennsylvania. And, I couldn’t help but feel how special it was: how lucky these unsuspecting people are! There were only positive intentions on those cards, and people so rarely send handwritten letters to even their own intimates. 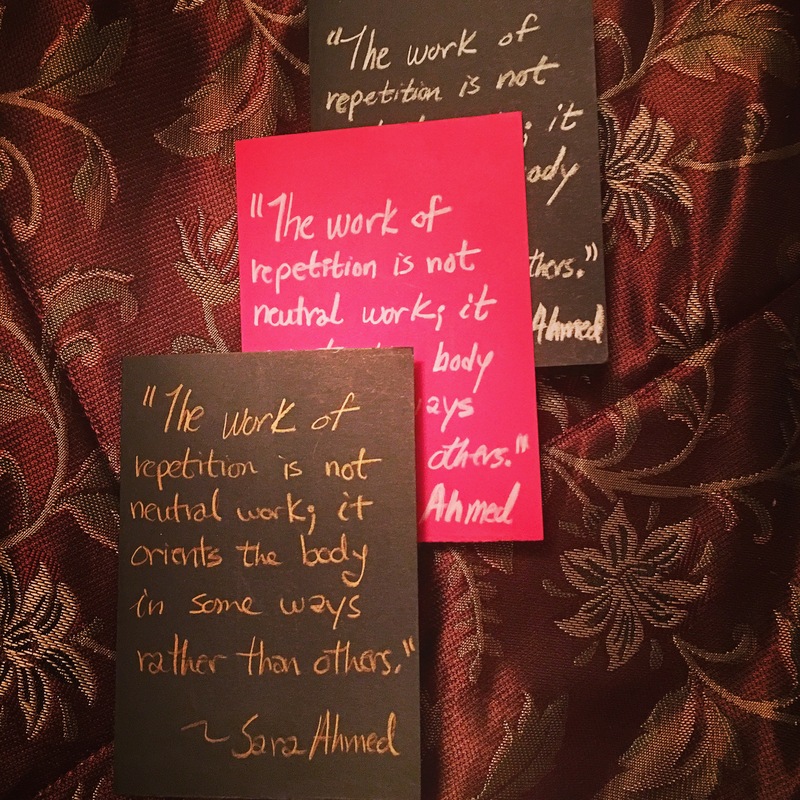 And, I’m always already thinking about Sara Ahmed, and how she writes about the impressions that work makes on our bodies, and how these repetitive orientations bring us into contact with somethings and not others, with some bodies and not other bodies. And, I wanted an excuse to place a piece of myself into the mailboxes of all my dear and distant friends. And I knew, if I made it public, if I called it a project, if I thought of it as art, I’d have to commit to it. I’ve mailed the first group of cards out this afternoon from the Cathedral of Learning (for some reason that seemed fitting). So, until I feel it is no longer winter in the Pittsburgh area, I will be making and sending small cards to anyone who would like to participate. Maybe you’ll find a #wintermissive…and, maybe we’ll move #towardsoneanother….